Several people were evacuated from their homes in Derry on Friday morning after a suspicious device was discovered in a housing estate. The device was discovered in the Farm Hill area of the city. 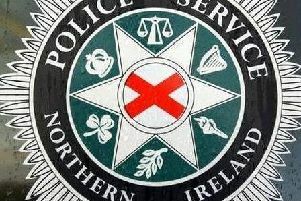 The suspicious device was discovered in the Farm Hill area of Derry on Friday morning. One resident who was affected by the security alert said she was “shocked and surprised”. “This is a really quiet area,” said the resident. “I can’t understand why something like this would happen in this area - I am really shocked and surprised. I hope the police can deal with this as safely and as quickly as possible,” added the resident. Sinn Féin councillor Elisha McCallion condemned those responsible for the disruption caused by the discovery of the device. “A number of residents have had to be evacuated from their homes following the discovery of a suspicious object in the Farm Hill area of Foyle Springs. “This is the last thing the local community needs, particularly on such a cold day. “Those behind this security alert have nothing to offer the local community. “We don’t need or want these type of incidents in the city,” said Colr. McCallion. A number of homes in the area have been evacuated. The area remains closed while the object is examined.